Patagonia is huge. It covers the southern part of both Argentina and Chile. 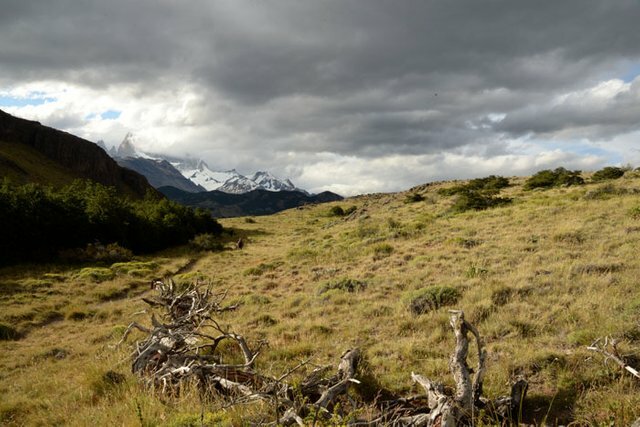 Located here is Parque Nacional Los Glaciers and Torres del Paine (Chile). 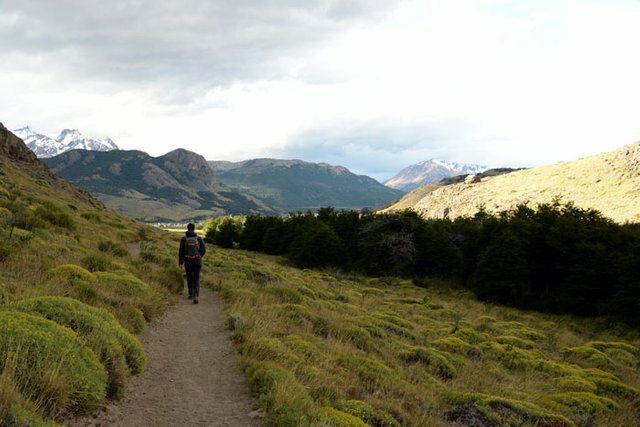 This part of Patagonia must be a hikers dream: mountains, glaciers, waterfall, and well maintained trails helped a lot. 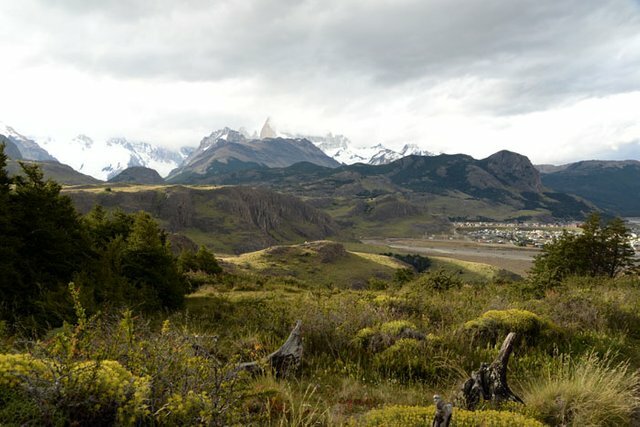 My first stop in Patagonia has been El Chaltèn to do hikes and explore the area around Mt. Fitz Roy in Los Glaciares National Park. 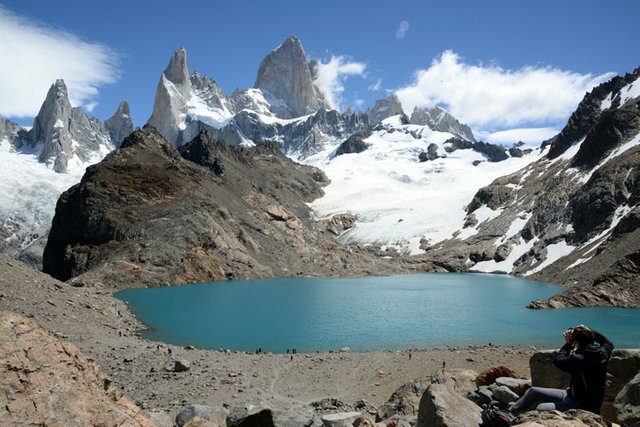 Fitz Roy is the most popular trekking destination in all of Argentine Patagonia. 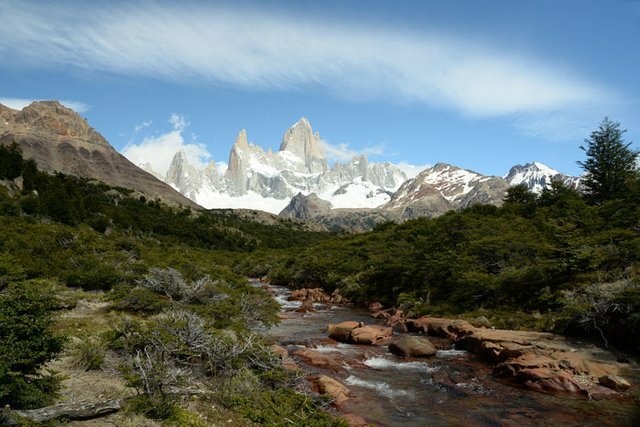 For that reason El Chaltèn is considered the trekking capital of Argentina. This little town is located right at the entrance of the park and does make a good base for day hikes. That was our plan as well. We wanted to stay right at the starting point for our hikes. The trails starts almost outside our door. Several buses run daily from Calafatte, where the airport is. It takes about 3 hours by bus to El Chaltèn from there. Just before arriving town, there is a small visitor center that should not be missed. Very informative and excellent service. El Chaltèn is a small town, but has all categories of hotels, tourist shops, restaurants and coffee shops. There are companies that offers trekking tours, horseback riding, among other activities. The park is almost entirely accesible on day hikes. Hikes vary from 2 to 8/10 hours each. Many hotels offers box lunches to bring on hikes. The water from streams along the trail is safe to drink. We just filled our bottle on the way. First day we just did a short hike to Mirador los Condors and Aquilas in the late afternoon. It is a short 3-4 km. 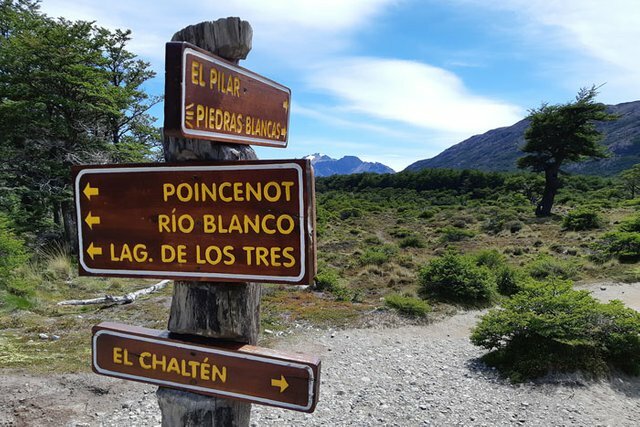 walk.. Starts right outside town and climbs up to a viewpoint with great views of the mountains and El Chaltèn. 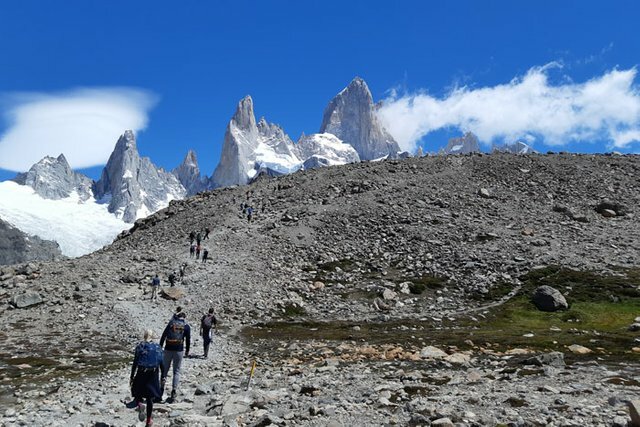 Next day we did the challenging hike to Laguna de los Tres – the most popular hike with spectacular sights of the Fitz Roy massif. This natural viewpoint is undoubtedly the most famous of all walks. It is also here one can get the closest view of the granite wall and the peaks around. The distance is 26 km. and is estimated to take 8 hours. We started early in the morning, because it was going to be a long day, but also to make sure we would have plenty of time at the viewpoint. 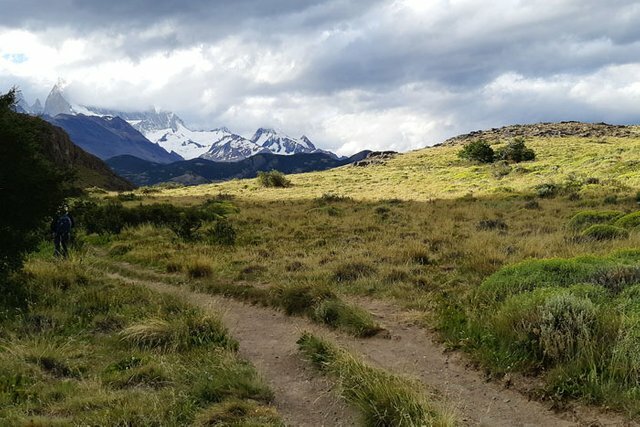 The trail begins at the end of Avenida San Martín, where El Chaltén town ends. There is a car park at the starting point, but we were staying in a hotel 100 m. from this point. The slope is quite steep during the first hour. After an hour and a half further down the way we reached a natural viewpoint. 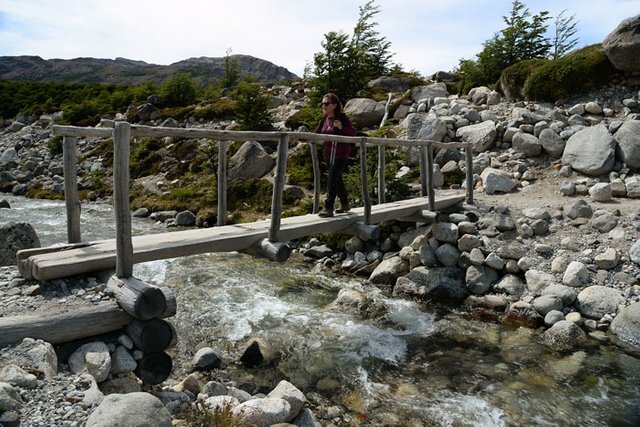 The trail continues up along the Del Salto stream until reaching the drainage of the Lagunas Madre e Hija. The trails well marked and maintained. Some of the way they are even lined with stones. Easy to do self-guided hikes. Some 4 hours after we started we arrived at Poincenot base camp. From there the path continues ascending approximately 400m. To Laguna de los Tres. This is really steep and the hardest part of the trail. It was suppose to take an hour, but it took me one and a half! At some point I even thought I would not be able to make it! But the trail came to an end at the old moraine ridge with an extraordinary view of the lagoon and De los Tres Glacier. Totally worth all my effort. 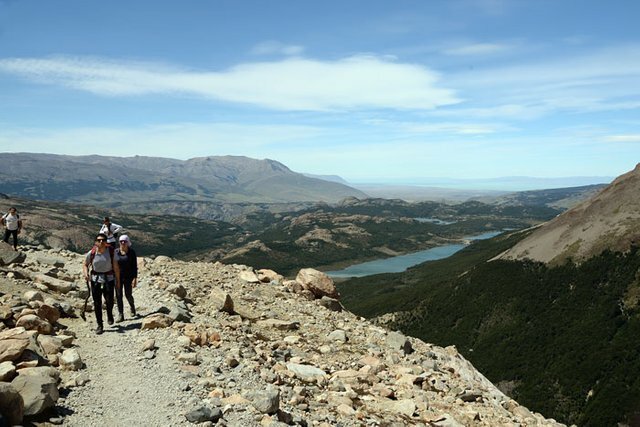 While up by the lake we also went to the viewpoint from where we could overlook the Laguna Sucia – meaning «dirty Lagoon»... I really do not think that name was appropriate! The walk back to town was much faster, as it is mainly downhill. Mt. 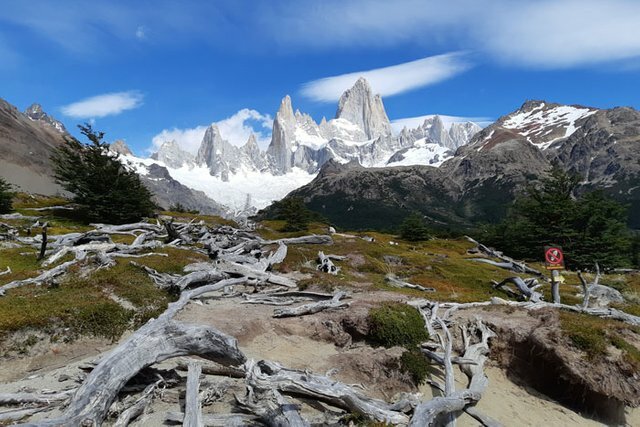 Fitz Roy is certainly one of the most beautiful hikes in Southern Patagonia, and one of the highlights on my trip to Patagonia. Next stop: Calefate and the Perito Moreno Glacier. Great photos! I had never seen such animal in my life, not even on TV. 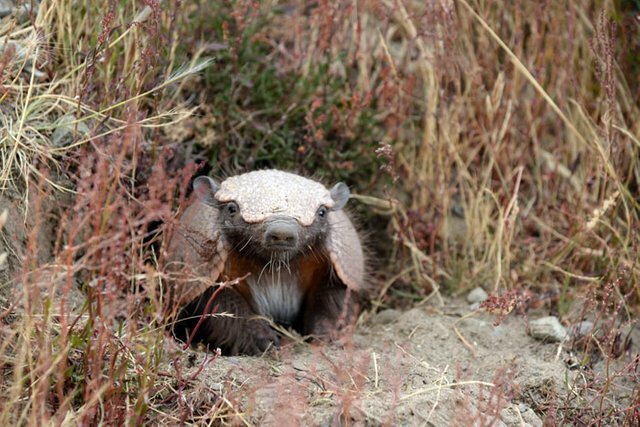 Such a cute little critter! Thanks for the excellent travel article, @digi-me! He is about 30-35 cm. long and not afraid at all. We actually saw two. Condors as well . Very exciting seeing animals and birds we have never seen before. Wow such a lovely photos. The air was so fresh from the look of it. And the little animal is so cute.. it seems not afraid of stranger. Thanks. He is not afraid at all. We actually saw two. Condors as well. I have never visited South America, but I did not think that it could be beautiful like this: your photos are amazing and I am proud to have found this post! Thank you to share it with us and thanks to @c-squared to resteem it!! !